Planning a first birthday party turned out to be an absolute delight. 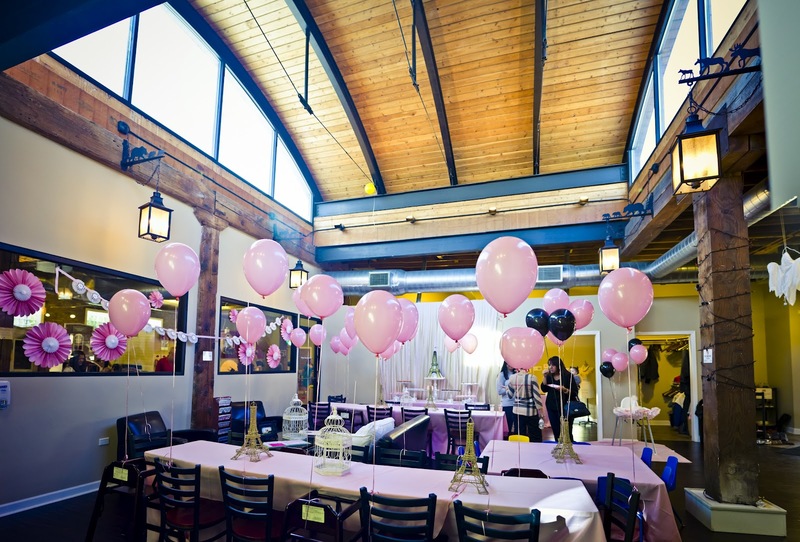 I love weddings - and always will - but my daugther's first birthday party was so much fun. I don't really do themes for weddings so it was fun to get really cutesy and into children's parties. 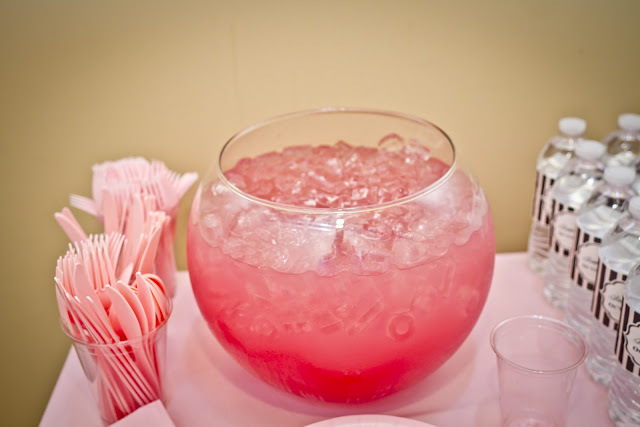 All Photos By: TK Photography. 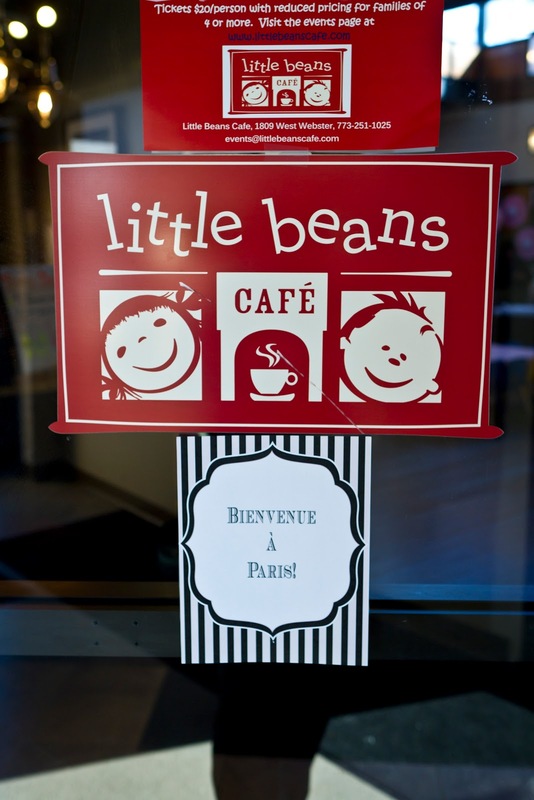 A Welcome to Paris sign (in French) greeted guests as they arrived to Little Beans Cafe. Since the venue has a sock only policy, I made a sign notifying guests. It was near the name tags that said "Je m'appelle". 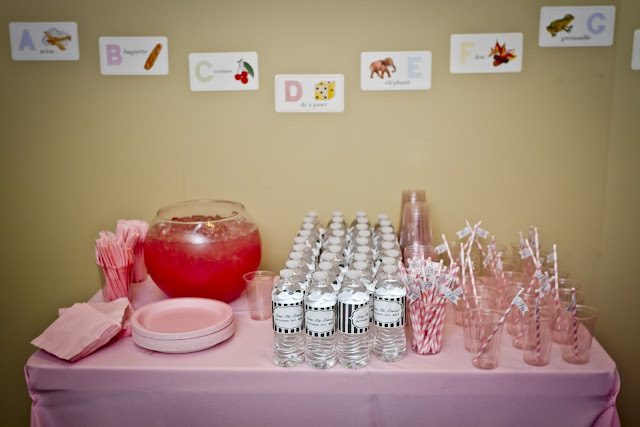 I had name tags for the children because there were a lot of people meeting for the first time at the party! 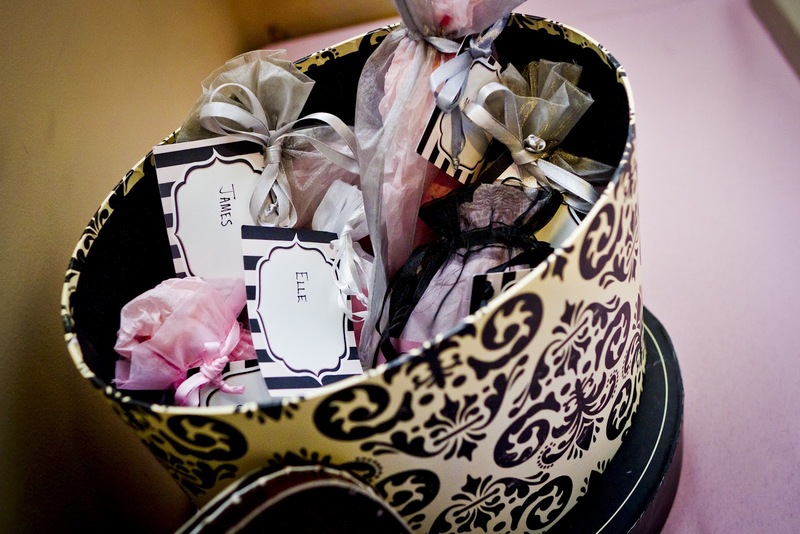 Complimentary socks were available for the guests - both children and adults- that happened to be sock-less that day! The main room of Little Beans is huge and has these with gorgeous skylights. To bring your eyes up, I tied balloons ties to each chair. 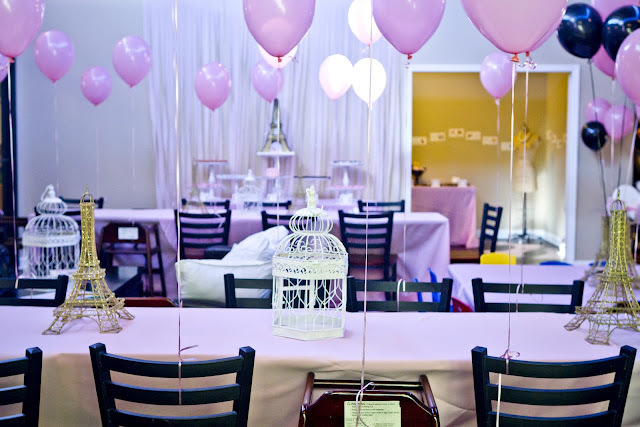 I also rented pink satin linen for the tables for more color! 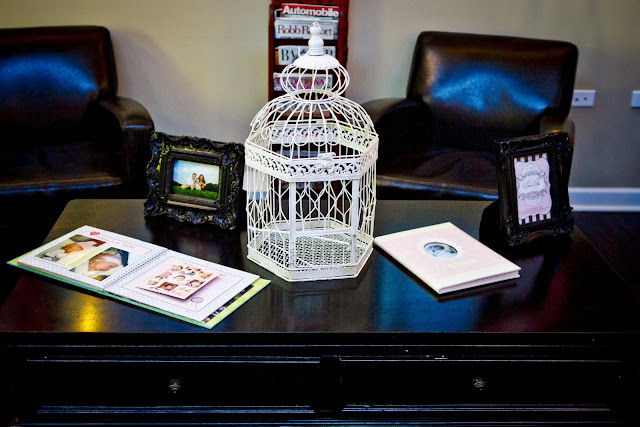 Each table was decorated with giant Eiffel towers and bird cages. The sweets table was a true labor of love. 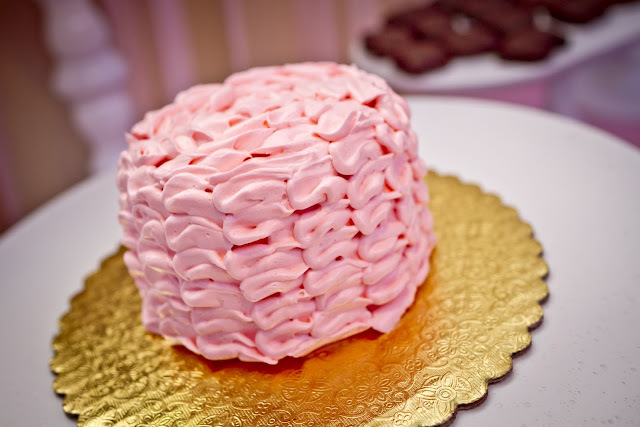 The table was covered in pink linen and had a banner that said "Let them eat cake". 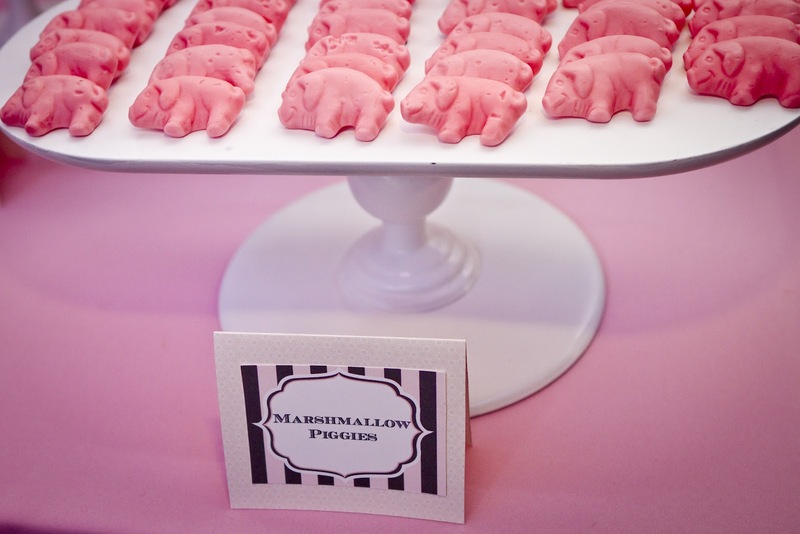 I used cake stands of varying height to display all of the treats. 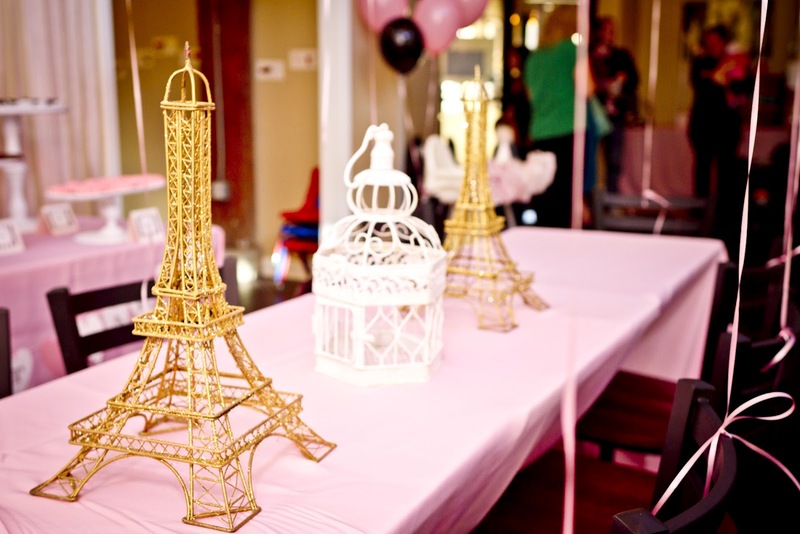 The cake was a 3D Eiffel tower designed by Naomi from TipsyCake. In the background, I hung pastel pink streamers. 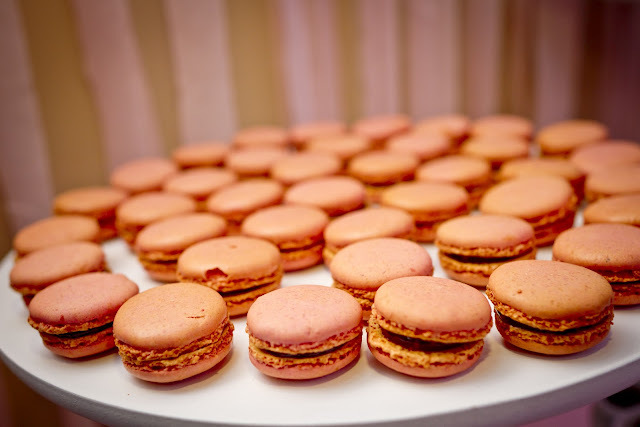 Some of the pink treats for the guests. Outside of the main room, is a little nook for a buffet. 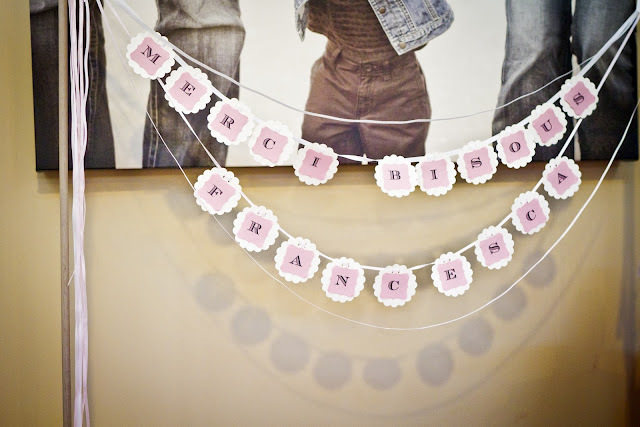 I decorated the room with cards of the French alphabet. There was also a dress form with a strand of pearls. 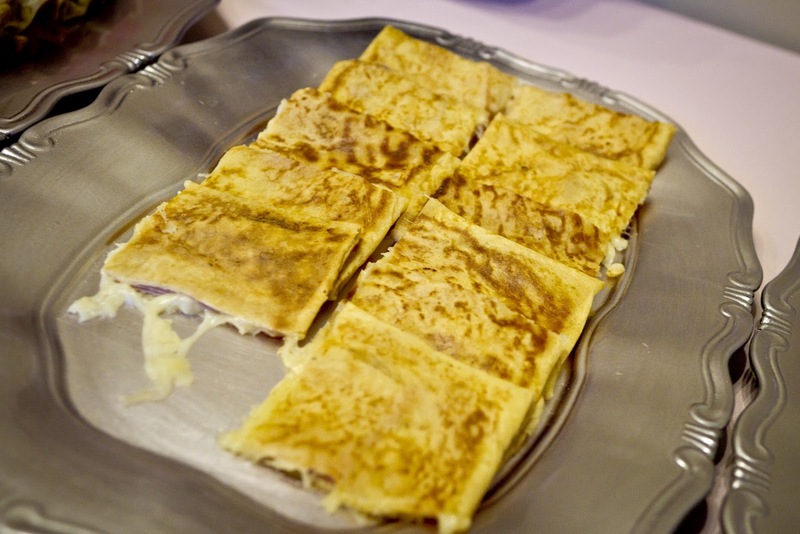 We served two different types of savory crepes for our hungry guests! Who doesn't love a dress form? 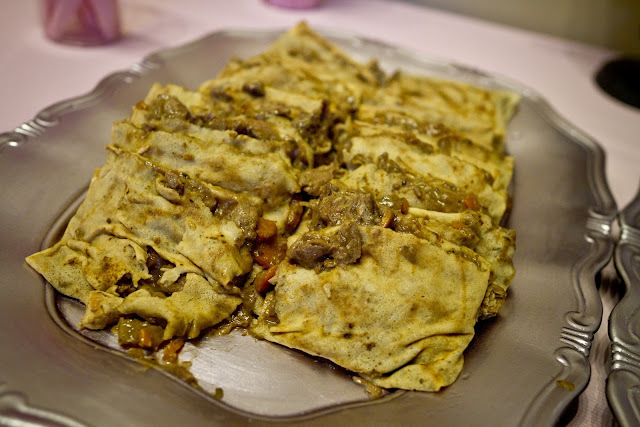 I borrowed this lovely from my good friend Sonia Roselli. The drinks table: punch and custom water bottles. 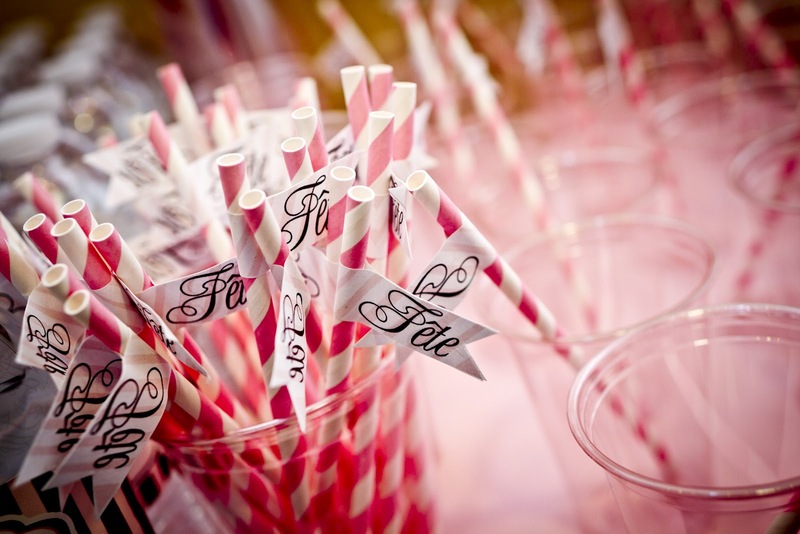 For the punch, we had sheer pink glasses with cute straws and straw flags. The main room had long tables. 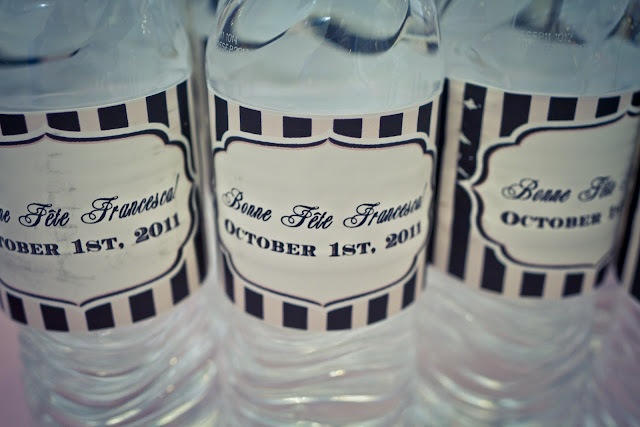 Since it was a children's party, I didn't want to use anything too delicate. The Left Bank sells these lovely Eiffel Towers that I coupled with bird cages. Never underestimate the power of balloons! 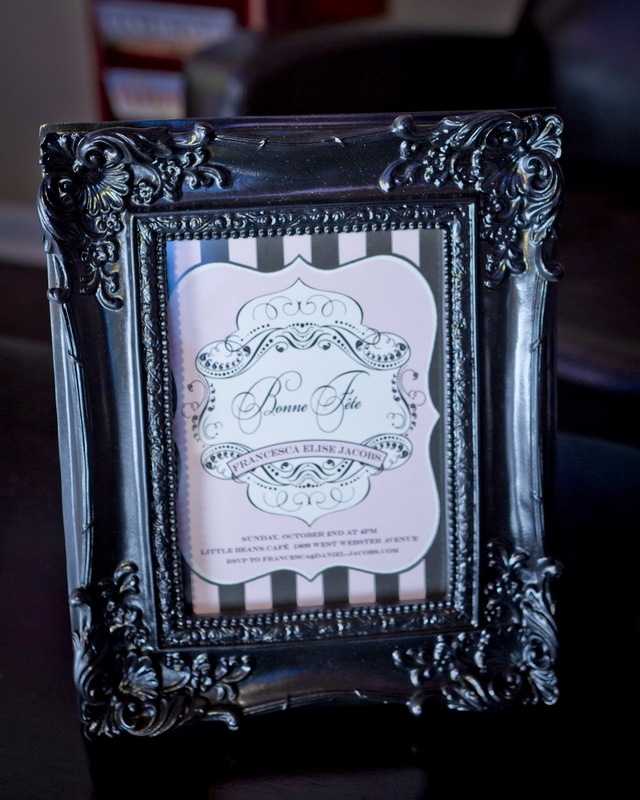 In the lounge area, I displayed Francesca's baby book. The framed invitation was displayed on the coffee table. Above the favors, I made a sign that translates to "Thank You, Kisses, Francesca". 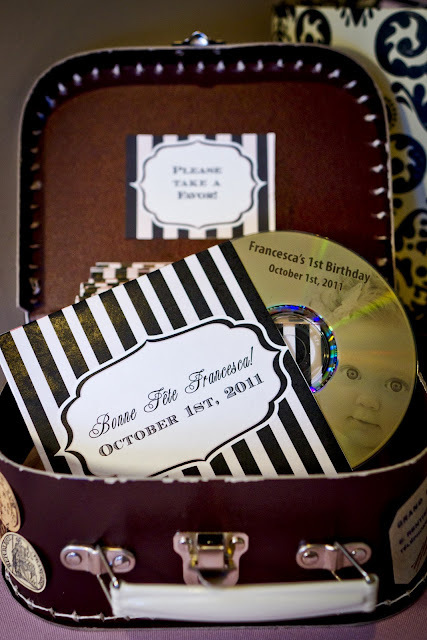 The favors were a custom CD with French nursery songs. For the older children, I bought individual favors that were more suitable to their age range. 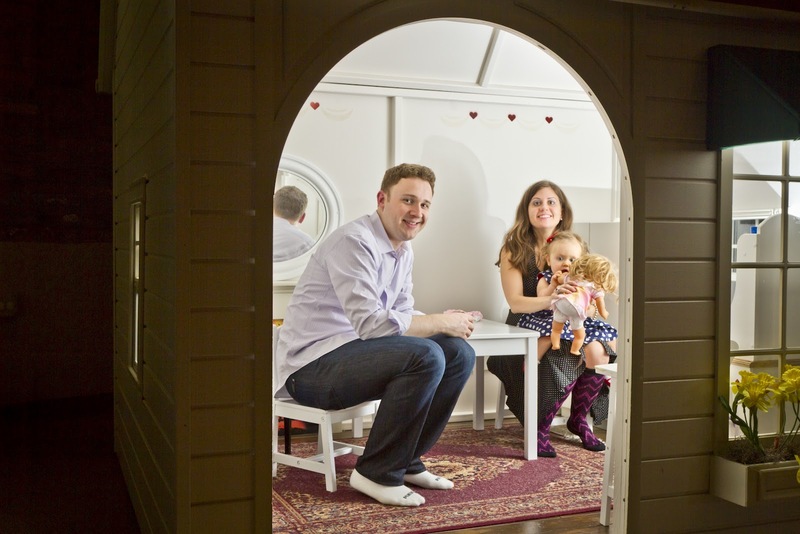 A family photo in the playhouse. I'll be posting more about the party tomorrow!